The 2018 Pilot comes standard with 8-passenger seating and 60/40 split 2nd and 3rd row seats. Second-row captain's chairs and leather seats are available. For more versatile passenger access, the new Honda Pilot EX-L, Touring, and Elite models include One-Touch 2nd-Row seats. It's a smart choice for Elgin families. With all seats folded down, the Pilot provides up to 109 cubic feet of cargo room. That's plenty of space for supplies from Schaumburg hardware stores. Consider picking a model with tri-zone automatic climate control, up to 5 USB ports, a 115-volt outlet, or a 9-inch rear entertainment system. 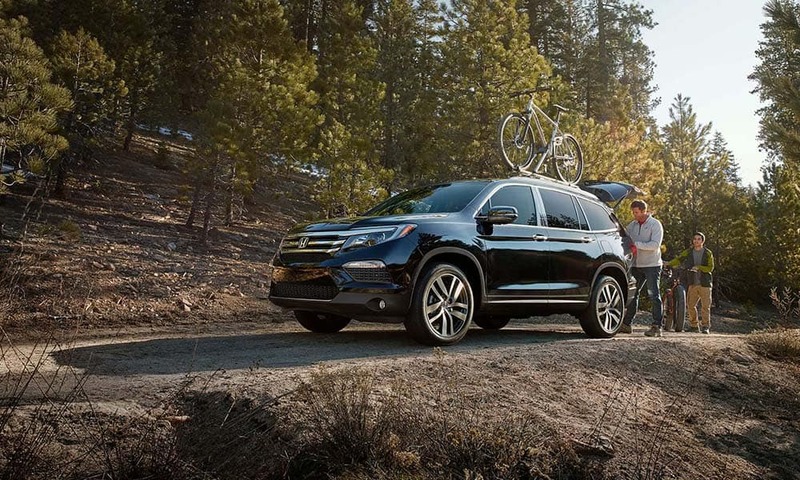 Experience the new Honda Pilot in person by scheduling a test drive at Brilliance Honda of Crystal Lake. The 2019 Honda Pilot will arrive in the near future, so be sure to visit us near Barrington for more information.